Matt was incredibly knowledgeable with interesting facts and stories to share. He discussed the difficult history of the area impartiality to give us as clear of an understanding as possible. He showed concern for one in our group who had some physical limitations while still ensuring that she was able to participate fully. Matt organized other parts of our trip for us and checked in to make sure everything went well. He was a pleasure to spend time with, and a true professional. TOUR GUIDE RESPONSE: Many thanks for taking the tour and taking the time to leave a review. Bosnia is an amazing, fascinating and a very complex place and I am glad that we've managed to bring it a bit closer to you. Have a great rest of the trip! TOUR GUIDE RESPONSE: Thank you for a great review, Lisa! The wine tasting was an excellent choice. The drive through the countryside was amazing. The lunch stop was perfect. A beautiful island to return to. The tour around the old town was very informative. We expected more from the sights of the Lower Cetina Canyon. The lunch was excellent. The tour was well planned. Matt also provided us with some general info and great restaurant options which we tried and we're very happy with. TOUR GUIDE RESPONSE: Thank you for your booking, Karen. I'm very glad that you enjoyed the tour, the Old town & your lunch. Regarding the lower Cetina canyon, we explored the backroads & the authentic Poljica villages, we hiked to the most beautiful canyon viewpoints & the coronation church, we stopped by the canyon town Omis, we drove the canyon road and also had a canyon boat ride & canyon restaurant visit. Wish you had told me that you were interested in exploring more of the canyon, I would be happy to show you more! An excellent full day private tour with Matej seeing the best of Hvar. Matej had a special passion for Hvar as his family had roots from 1480 on this Island. Friendly, accommodating and very knowledgeable. Matt did an excellent job of showing us Split. We felt that we covered the palace very well and received a great deal of insider information. We hiked up Marjan Hill and had a great conversation over a beer. Matt is an excellent tour guide -- very well informed on Croatia and it's history. When booking, I asked Matt to do some family history as my grandfather was born in a small village north of Split. Prior to my arrival in Croatia, Matt was actually able to find a first cousin. We went to my grandfathers village and were able to meet some relatives and visit the family cemetery which was a wealth of information. Matt is very flexible and will structure your tour to meet your interests. Highly recommend! Matej was a great guide. He communicated well before the trip so we were prepared with what we needed to bring on the boat. During the trip, he made us feel comfortable and welcome. He also helped us with a wine tasting reservation for the next day and gave us other recommendations for places to go in Hvar. I would highly recommend a tour with Matej! Matej was great in explaining everything about Split. He kept the teenagers interested (not easy to do in 90 degree heat) and was very engaging. He answered all our questions and was very knowledgeable. TOUR GUIDE RESPONSE: Dear Debra, this is great to hear! Both you and your teenagers were sooo interested and enthusiastic and I truly enjoyed the tour with you. Thank you! Excellent knowledge. We had limited time and the tour was customized. Learned a lot and was very enjoyable. Top scenic location. TOUR GUIDE RESPONSE: Thanks a lot for your wonderful feedback, Mark. We spent a great day together and it was a great experience sharing the beauties of the Plitvice park with you. Thank you for your booking and all the best! Great tour - highly recommend! It was great to see the whole island vs just Hvar Town. The drive along the coastal highway allowed for breathtaking views. Visit to Jelsa, StariGrad and 'LittleVenice' were very enjoyable. We also fit in a swim in one of the beautiful bays! Matt was a very good guide, spoke English fluently and was full of knowledge. If you want to see the island this is a great way to do it! AMAZING!!!! I highly recommend ToursByLocals. Our tour guide Matt was great. He picked us up on time and showed us all the places that we wanted to visit. We had no issues understanding him. He is fluent in English. He was very sweet to my 10 year old son. He had bought him a cap as a present. He was very knowledgeable about everything. 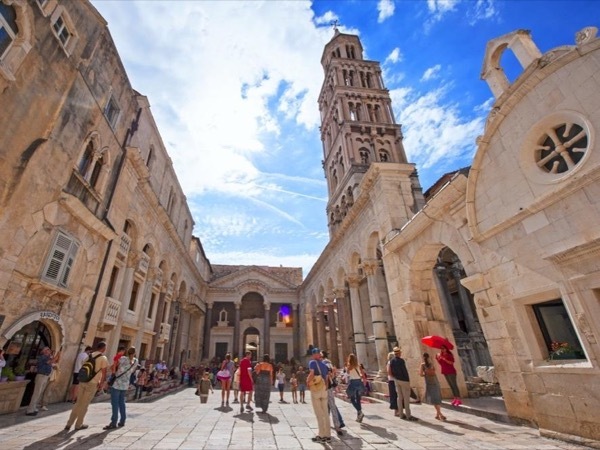 Split is a beautiful city so if you want to have a great experience sightseeing, then look no further Matt is your guy! Matej was waiting for us when we arrived and was very knowledgeable throughout the 2hr walking tour of Split. He adjusted the tour according to what we had already seen and was very helpful in making recommendations for the remainder of our time in Split and in Croatia. I would highly recommend Matej as a tour guide. Matt was a fantastic guide for our day. He was polite, knowledgeable, had a great sense of tour and was not busy looking at the clock. He wanted to make sure we took all the sights in and even added some surprises because we were having such a good time. The lunch on the River was something everyone should experience. Thanks again Matt. Matt gave us a fabulous tour of the island of Hvar today, exceeding our expectations. He is extremely knowledgeable and personable and it was the most enjoyable tour we've had here in Croatia. He went out of his way to show us an insiders view of Hvar and ensure we experienced the excellent food and wine of the area. The vineyard he selected is excellent and we bought several bottles. Matt is very flexible and tailored the tour to our tastes. We hope to use him again, if our schedules line up, for Vis. We had a great day with Matt in Split and Trogir Croatia. He did an incredible job helping us design a custom tour for our day in Croatia. He was friendly, informative and great to be around. We had a great time and truly loved Trogir. 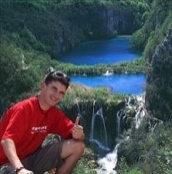 We hired Matej for the 'Breathtaking Island Hvar' tour. We started in Hvar, and then toured the island, with stops at the Napolean fort for a Hvar Town panorama; lavender fields; Vrboska (where he arranged an excellent wine tasting); Jelsa (where we had a delicious lunch on the waterfront at Artichoke); and then Stari Grad. Matej's great knowledge of the island, its culture and history, as well as his enthusiasm in sharing all of this with us made for an absolutely wonderful day. Highly recommended! Our tour with Matej was excellent and the perfect introduction to Split! Not only did he provide us with a thorough history of Split, but gave us great tips regarding where to eat and what to see during our remaining time in the city. TOUR GUIDE RESPONSE: Vielen Dank / Thank you so much, Natalie! I hope you enjoyed your TBL Dubrovnik tour as well! Terrific guide! Extremely knowledgeable with brilliant English and unbelievably caring, as I have mobility issues this was clearly evident. I have been in the industry for over 50 years and I would have no hesitation in recommending him to anyone. He made my day and everyone in the group such a joy and because of that we learnt so much. Great Job! My husband and I, along with another couple just returned from an amazing trip to Croatia. Matt was a replacement guide since the original guide stopped working. We were very lucky to have had Matt show us around Split. He is very knowledgable and recommended adding a few things to make the tour better, like beginning in Salona. He also gave us great recommendations for gelato and dinner. We would definitely recommend Matt for a wonderful tour of Split. Mat was great and we thoroughly enjoyed both Trogir and Split! Highly recommend him! TOUR GUIDE RESPONSE: Dear Maria, thank you so much for your interest in my city and my country, and for your kind review too. the only thing to comment on was that when travelling by mini van the people sitting behind the driver,tour guide are unable to hear the commentary.Maybe a microphone,headset would be beneficial. TOUR GUIDE RESPONSE: Dear Jill, thank you for being such wonderful guests - I enjoyed our tour very much! And that you for your microphone suggestion - I will get it for the future tours! TOURSBYLOCALS RESPONSE: While most travellers appreciate sharing a meal with their guide, we asked Matt to make sure and check in with the group regarding their expectations in this regard. Matej was an excellent tour guide, he was knowledgable and was able to adapt the tour to meet our needs on the day as it was extremely hot and with our 80 yr old father with us we did not want to do too much walking. Matej provided us with an excellent lunch recommendation in Split. Matej exceeded our expectations! He was wery instructive, accomodating, responsable and deferential. He gave us recommendations of fine restaurants that were not in the tourist areas. We recommend him 100%. We had a wonderful day with Matej in Trogir and Split - both beautiful cities. He was very responsive to what we wanted to do, took us to an incredible local restaurant for lunch and whetted our appetites for returning to Split (we were there for a day on a cruise) because there is so much to do in the area.He is young, fun and very knowledgable - I would highly recommend him. Matt is an outstandingly knowledgeable, kind and very reliable guide who provided us with a number of insights of Croatian culture, history and nature during the four days we toured with him. Thanks very much indeed! Matt was very knowledgeable and very accommodating with the wheelchair. TOUR GUIDE RESPONSE: Thank you for your kind reply. I am glad that you were pleased with the tour and that we managed to see the gallery and the old town. It was my pleasure to assist you with the wheelchair. Excellent guide. Good english and knowledgable. TOUR GUIDE RESPONSE: Nice to hear from you! Thank you for your feedback. It was my pleasure showing you around! Our guide was helpful and easy to understand. We enjoyed out tour and had a great lunch at a local restaurant. It was just what we had hoped for. Thank you. TOUR GUIDE RESPONSE: I am happy to read your review. Thank you so much! It was delight to show you my city and my area and to share with you one of my favorite restaurants! Matej was a very well qualified guide. His English is very good. The only downside was that Matej has his program and words fixed. Difficult to ask questions outside the square. TOUR GUIDE RESPONSE: During our tour we discussed all kinds of issues you asked about(from ancient Roman/Greek history to political systems,the economy,cuisine,cars...even botanics).After the tour you told me you were very pleased with the tour.In 12 years working as a guide and more than 1000 clients,I've never received this type of feedback.Since you posted your feedback 60days after the tour,I believe you mixed me with some other guide from some other cruise ship port. TOURSBYLOCALS RESPONSE: Thank you very much for your feedback. Matt was shocked with the review. He has a very good track record with us. His support manager is working with him on that issue. We were 10 seniors from USA in various stages of health. Matej met all our needs and planned activities that enable all of us to have a wonderful time. He arranged a week of tours and exceeded our expectations. We have traveled the world for several years and Matej rates at the top of our list for tour guides. Our trip was in Sept. 2012 and we begin communicating with Matej several months earlier and he suggested sights and literature to work with us to plan an itinerary. Thank you "Tours by locals". TOUR GUIDE RESPONSE: Thank you so much for booking all those tours! It was a true pleasure to meet you and I will be happy to visit you in Texas - in 2013 hopefully! Matej proved to be extremely professional, well informed and very knowledgeable about the history and culture of the areas we toured. By consulting with him via email in advance we were able to customize our two days with him so that we got to see and do exactly what we wanted to and he made our time with him in Croatia truly memorable and well spent. I would say that a bit too much emphasis was given to having a full meal at lunchtime whereas we'd been happier with a quick sandwich, but kudos to Matej! TOUR GUIDE RESPONSE: It is great to hear from you! Thank you for your review and thank you so much for the CDs, they play very often in my car! All the best! We were very happy with the tour. Excactly what we expected. Tahnk you. TOUR GUIDE RESPONSE: Thank you very much! All the best! M.
I would give Matej 6 stars!!!! We took a cruise and one port of call was Split. My wife's grandfather emigrated from a small town an hour from Split in 1911. We had a few old written records was all. After several email correspondences, Matej went out of his way to make phone calls and found & arranged for my wife to meet many relatives she did not know even existed. No doubt they were her relations, as her grandfather visited there in the 1970s and they still had his photos of his visit. Many thanks!! TOUR GUIDE RESPONSE: Thank you so much. Hope to see you in Croatia again! All the best. M.
Matej was not our tour guide, but the woman he chose as his replacement - Helen was fantastic! She was very personable, knowledgeable, and accommodating to our varied interests. She went 'above and beyond' to show us fabulous sites and easily engaged us in the entire experience. WE ADORE HELEN!!! We were supposed to have Matej as a guide who would provide a vehicle suitable for 4 persons and a wheelchair. Instead, without any advance notice, we got Marja who did not have a car of sufficient size. We only saw Split, the trip to Trojir would have been uncomfortable. We wound up having a brief tour of just Split. We could have taken a tour with any of the guides at the port for a quarter of the price! TOUR GUIDE RESPONSE: I am sorry .That day I had an emergency.A few days ahead I called your cell and it was out of reach so I texted & emailed.In order to try to make it up for my absence,I paid for your entrance fees.As per the rental vehicle,as soon I got advised about wheelchair,I also paid myself for an upgrade to the largest upper medium size car available. And just to make things clear, Port guide' tours for 1/4price are 1.5hour long shared walking tours with 15-30 people & do not include Trogir nor any vehicle. TOUR GUIDE RESPONSE: It was great meeting you, Robert. Thank you for your booking and I am happy you enjoyed your tour! Best regards. M.